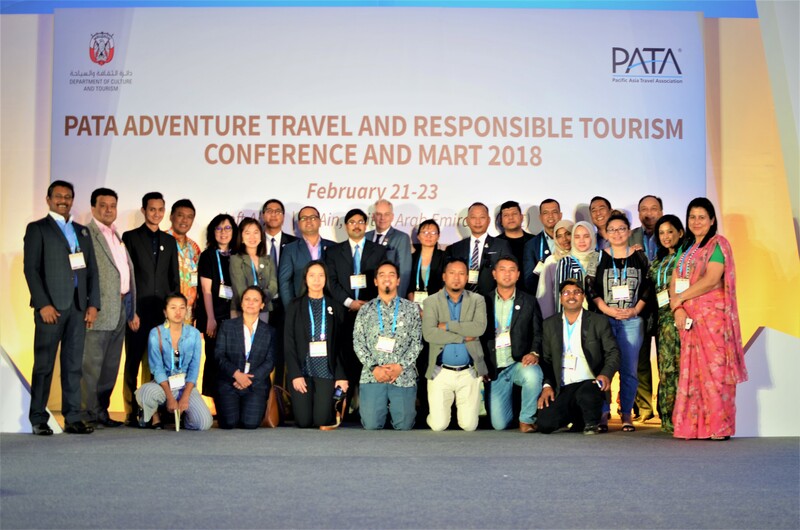 KATHMANDU, Feb 25: PATA Nepal, along with Nepal Tourism Board, Nepal Airlines, and 11 travel trade companies have participated at the PATA Adventure Travel and Responsible Tourism Conference and Mart 2018. The event took place in Al Ain, United Arab Emirates from 21-23 February, and had the presence of 180 delegates from 33 countries. 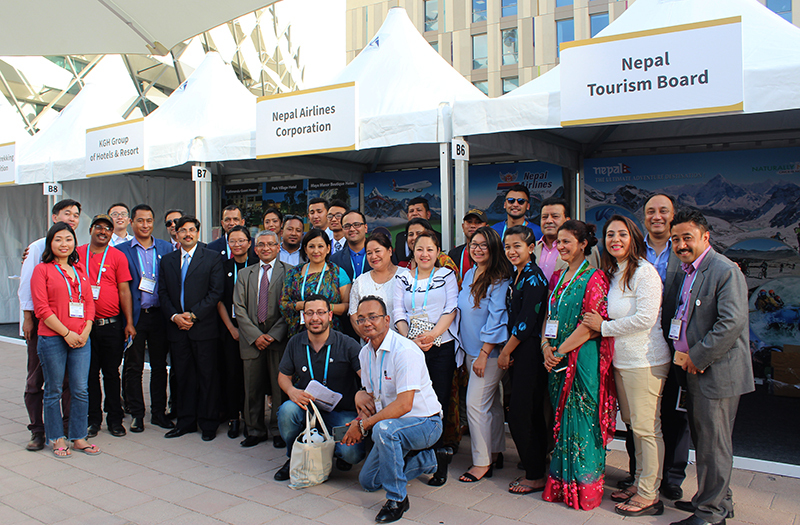 A total of 11 private travel trade companies from Nepal participated in the mart including Langtang Ri Trekking and Expedition , Highground Adventures Nepal, Royal Mountain Travel, Explore Himalaya Travel & Adventure, Himalayan Holidays Trekking, Adventure Outdoor Treks and Expedition , Nepal Sanctuary Treks, Himalayan KailashTravels & Tours, Shivalaya Tours, KGH Group of Hotels and Resorts and Soaltee Crowne Plaza. The event brought together international experts of the adventure travel industry to discuss the issues and opportunities in travel and tourism. Delegates heard from a diverse line-up of international speakers at the one-day conference under the theme ‘Adventure in a New Era’. PATA Nepal CEO, Mr. Suresh Singh Budal, informed that the participation at ATRTCM 2018 was a unique learning platform on the different dynamics and emerging trends of adventure tourism as well as business promotion. The fair provided an ideal platform to showcase Nepal as an exotic adventure destination with its umpteen options for activities in this segment.